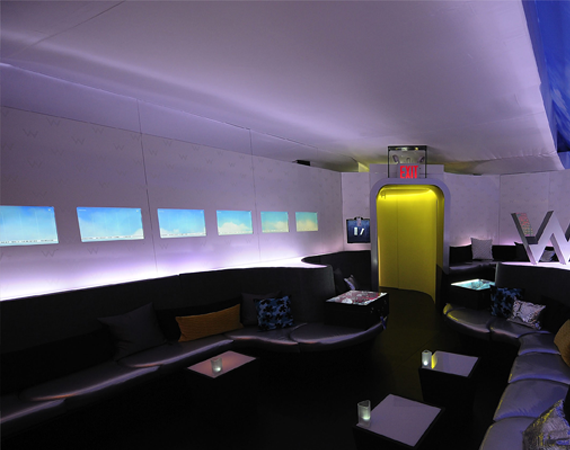 For years the New York Fashion Week event was held at the tents at Bryant Park New York. 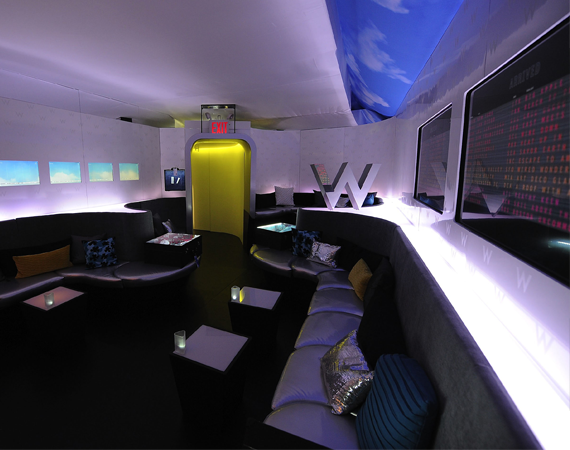 In celebration of W Hotels openings on the international stage and travel, guests were welcomed to an inside access to a world of wow at the Fall 2010 Fashion Week. 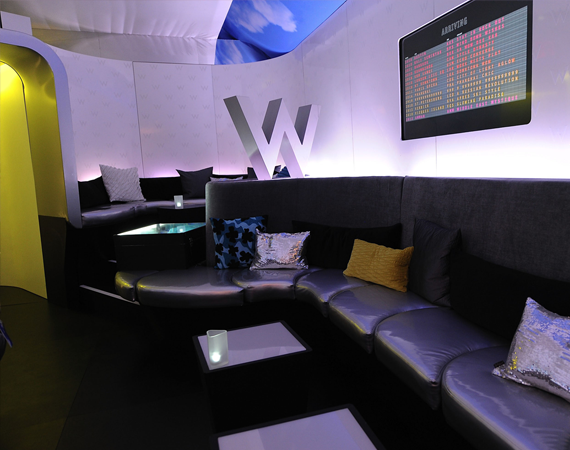 The design and theme was based on the idea of embarking on a global getaway, en route to new destinations in the hottest W Hotels locations worldwide. 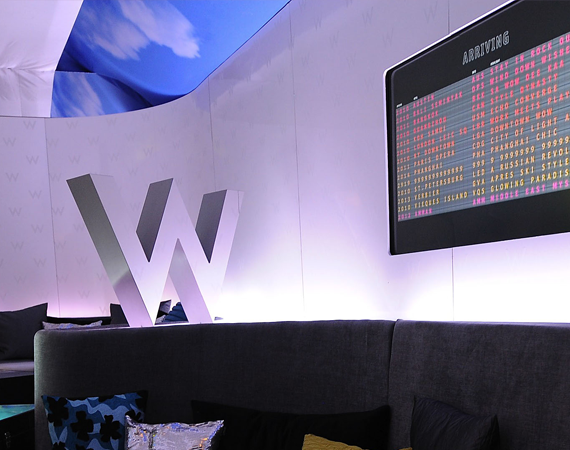 From London to Bali and from Koh Samui to Paris, W was positioned to be everywhere-bound, slipping into the Fashion Week scene with new arrivals in style, music, beauty and everything in between. 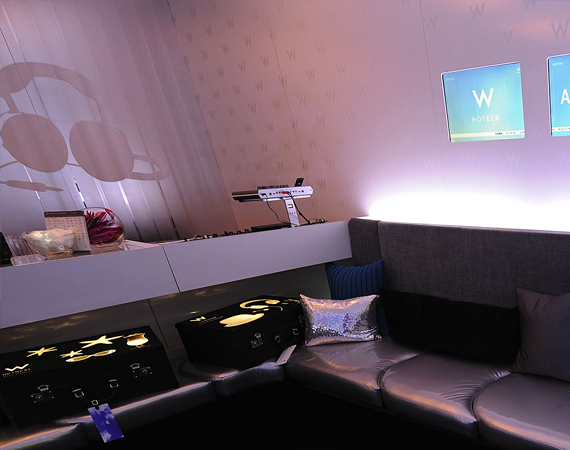 The W Arrivals VIP Lounge at the Bryant Park tents was the place to be, be seen, to check in and check out the season’s celebrity DJs spinning hot tracks during the week long event. 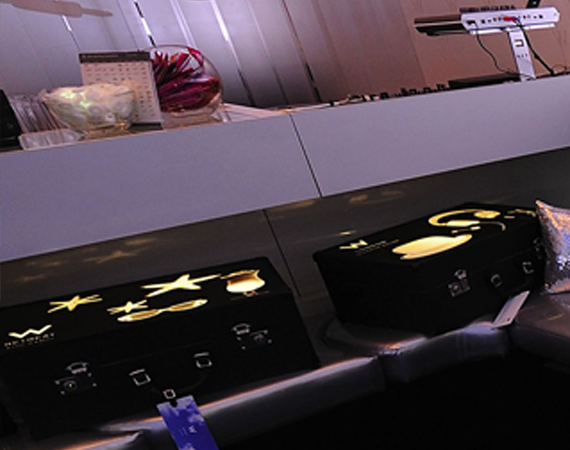 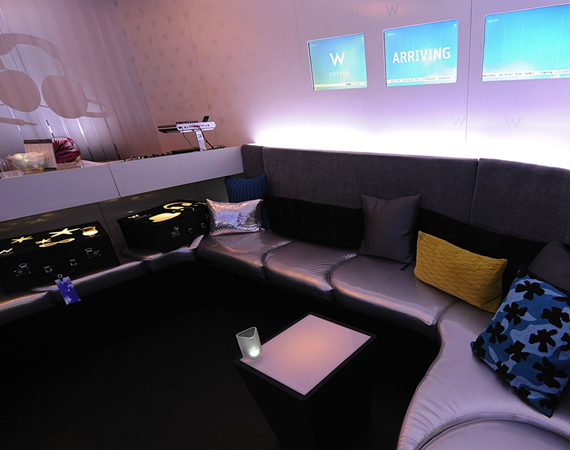 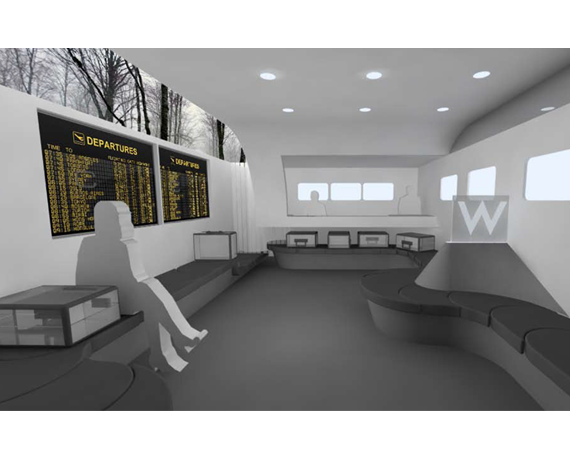 The environmental design featured wrap around seating to mimic an airport luggage conveyor, destination themed x-ray luggage and display boxes designed to look like luggage, digitl arrivals and departure boards displaying existing and new W destinations coming soon and editable overhead complete environmental mood lighting that changed hourly.